This article describes how multilevel thresholding image segmentation is a process used to partition an image into well separated regions. It has various applications such as object recognition, edge detection, and particle counting, etc. However, it is computationally expensive and time consuming. 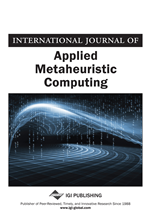 To alleviate these limitations, nature inspired metaheuristics are widely used to reduce the computational complexity of such problem. In this article, three cellular metaheuristics namely cellular genetic algorithm (CGA), cellular particle swarm optimization (CPSO) and cellular differential evolution (CDE) are adapted to solve the multilevel thresholding image segmentation problem. Experiments are conducted on different test images to assess the performance of the cellular algorithms in terms of efficiency, quality and stability based on the between-class variance and Kapur's entropy as objective functions. The experimental results have shown that the proposed cellular algorithms compete with and even outperform existing methods for multilevel thresholding image segmentation. In image processing, pattern recognition, and computer vision, image segmentation is one of the most preprocessing steps in which all pixels of the input image having related data are grouped into homogeneous regions. Thresholding is a simple method widely used in image segmentation that it separates objects in the image from the background. Thresholding methods can be divided into parametric and nonparametric approaches (Horng, 2011; Jiang, Tsai, Yeh & Cao, 2017). In parametric methods, a probability density function is estimated to model each class in the image. The estimation process is sensitive to the image quality and initial conditions. Besides, these methods are complex and time consuming. On the contrary, nonparametric methods are simpler and consist merely to optimize some criteria to select the optimal thresholds. Different criteria have been proposed in the literature for this purpose such as the between-class variance, entropy, 2D entropy, cross entropy, and Bayesian error. In Otsu method (Otsu, 1975) the optimal threshold value is selected by maximizing the between-class variance of image histogram to segment the object from the background. Entropy based methods such as Kapur and Tsallis (Kapur, Sahoo & Wong, 1985; Tsallis, 1988) are widely used by researchers in the field of image segmentation. The optimal threshold is determined by maximizing the entropy of histogram. Abutaleb in (Abutaleb, 1989) has extended the entropy-based thresholding algorithm to the 2D histogram and select the optimal threshold by maximizing such 2D entropy. Cross entropy criterion is proposed by Li (Li & Lee, 1993) in which the threshold selection problem is solved by minimizing the cross entropy between the original image and its segmented one. Bayesian error is introduced by Kittler (Kittler & Illingworth, 1986) with the principal idea behind the method is to optimize the Bayesian error related to the average pixel classification error rate. Among these criteria the between-class variance and Kapur’s entropy have been the first and the most popular criteria used to determine optimal thresholds to segment images into nearly homogenous regions (He & Huang, 2017; Ouadfel & Meshoul, 2014; Bhandari, Kumar & Singh, 2015). According to the number of thresholds, there exist bi-level and multilevel thresholding methods. In bi-level thresholding segmentation, pixels are compared to an optimum threshold T making two different homogeneous regions (object and background) (Kumar, Kumar, Sharma & Pant, 2013; Otsu, 1975). For complex images which have more objects corresponding to different brightness, multiple optimum thresholds are necessary for a good segmentation. Most of bi-level thresholding methods were extended to the multilevel thresholding (Tsai & Chen, 1992; Yen, Chang & Chang, 1995; Liao, Chen & Chung, 2001); hence, these methods fail to give good results and increase the calculation complexity.